Legally Modern Law Group, LLC of St. Petersburg are reluctant family law lawyers. This is because we recognize the emotionally charged dynamics of family law, and are able to help clients attain closure and fair agreements as well as remove the emotional strain often involved. Family law issues can encompass a wide range of proceedings, and can vary significantly in complexity and duration. It is not uncommon for a parent of a timesharing agreement to have concerns regarding the fitness and care the other parent exercises when with their shared children. In such cases, our St. Petersburg family law attorneys can help you sort out the issues through an effective modification action and help you protect your children from potential neglect, danger or abuse. In other instances, a parent may need to file or respond to a paternity action but have no idea where to begin or simply want to make sure and respond to the legal issues involved. Because a paternity action needs to establish very important legal rights regarding a parent’s relationship with a child, including the obligation to provide support and timesharing, a good lawyer is essential. A parent may also be faced with an issue regarding the other parent’s involvement or absenteeism. In such a case, a petition to terminate parental rights may have been filed or need to be filed. If you need to file such an action or respond to it, St. Petersburg law firm Legally Modern Law Group will provide the legal services you need to resolve the often tricky and heated issues such actions entail. If you are facing a divorce, then a competent lawyer is essential in order to protect your legal rights and assets. A divorce action once entered with respect to assets, support, parental responsibility, and timesharing is difficult and often impossible to modify depending on the issue. Therefore utilizing our legal services here in St. Petersburg can help you reach a result that provides closure and happiness moving forward. Using effective and sensitive legal techniques, we will help you reach the result you need while getting the distance needed to normalize your life. While it has become a benchmark strategy for many attorneys to drag children through the mud or use them as pawns in divorce, custody proceedings, modification, and relocation proceedings, we make it our commitment to avoid doing this at all costs. We are able to help you reach modifications of child support agreements, time sharing, and resolve paternity issues. We also represent both fathers and mothers equally. We will help you navigate a divorce or other family law issue efficiently, competently and with respect. If your looking for help or to better understand your options, give us a call to discuss your family law issue. Find an Attorney You Can Trust With Your Family Law Issues! Remember, you don’t have to let temporary changes such as a divorce, relocation, or a modification destroy your family. We will fight for you and your family. 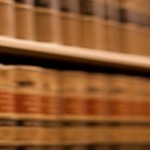 Let Legally Modern Law Group, LLC legal services work in your favor.